July 2012. Brechin City and their hedge. Life in the Third Division began with that infamous trip to Glebe Park in the Ramsden’s Cup, and Rangers had lost just about the entire first-team playing squad. Carlos Bocanegra led the team out with the likes of Kirk Broadfoot and Dorin Goian professionally continuing on while awaiting a move away to a better standard of football. They did their parts, by not abandoning the Club immediately, but naturally there was a massive reliance on youth in that match, with the likes of Hutton, Macleod and Naismith (Kal) all featuring. 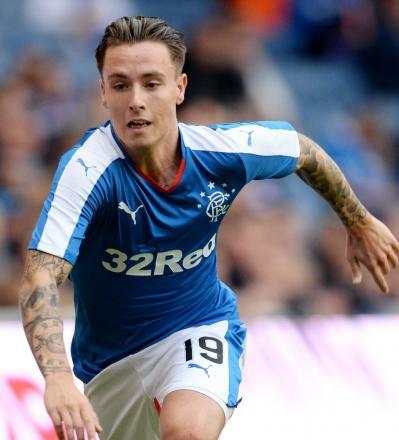 But one player stood out – a fresh-faced 17-year old by the name of Barrie McKay. With senior players like McCulloch and Ian Black around him, the teenager, on his professional debut, completely stole the show, with composure beyond his years, trickery, pace and some deft flicks. Indeed, at that moment he looked like being the star of Division 3, and Rangers had a new fulcrum to pin hopes of a recovery on. Only, ‘manager’ Ally McCoist did not see it that way. Around September and October McKay found himself increasingly used as a sub, till 2013 when he faded almost completely out of the picture despite impressing. By the end of that year he found himself at Cappielow on loan, as it became clear ‘manager’ McCoist was simply not interested in him. In short, McKay spent 2013 on the bench, and 2014 and half of 2015 on loan as he waited, waited, and waited some more to finally be given a proper chance, a chance he felt he deserved. McDowall was not interested in giving him that chance, until Mark Warburton took over as manager no one in charge at Ibrox seemed willing. That is now three matches in a row McKay has started – and while no one would claim he is Messi, it is not inaccurate to say he has hugely impressed. He has provided two assists, and caused nothing but trouble down the right hand side, and occasionally left. Friday’s display was especially productive – it is a mature and intelligent McKay we now see, one desperate to take the chance Warburton has given him while not forcing it and ball-hogging. Indeed, McKay has measured his input just right. He still produces the fine passes, deft flicks and raw dribbles, but there is more thought than there once was – he produces end product, while interchanging extremely well with the-now mobile midfield. 36 months McKay has truly had to wait for this, and he has patiently done so. Never moaning to the press, never saying a bad word. He just got on with the loans, the waiting, and now, finally, it is his time to shine. I could never understand how mccoist thought that Aird should have been in the team before mckay, barrie is afar better player and I really hope he becomes a firm favourite in the eyes of our fans. The lad is doing everything to show he deserves it. Yes, he has played well in 3 games ......but to compare him to Cooper ,,,,,,,,,,,,,,,,you are having a laugh!!!!!!!!!!! When 17 year old Barry McKay got his chance with Ally McCoist's team, I thought he took it. Everybody I spoke to thought he was definitely one of the best players we had, until the far from super Ally the manager dropped him and eventually put him out on loan. What a difference a decent manager / coach makes to a player. He always had the talent, he just needed an understanding man like MW to realise what was required from him to keep his place in the team. Could it be that high balls to the forwards was the reason Barry wasn't as effective in McCoist's team plans. The confidence instilled in him by the new management team paid dividends on Friday night with young Barry's commitment, stamina and enthusiasm shining throughout the match. What a joy to watch the team performing so well and exactly what the Rangers supporters who turned up in their thousands to make it a sell out, want to see on a regular basis. Rangers have had outstanding youth wasted over the years. McKay was going to be another one. I honestly don't have enough time or space on this screen to name all the players!! At last we have a man in charge that trusts a youth system... although a bit worried about the future of wee Murdoch as he looked the part last season. If W & W don't want to use Andy Murdoch at this moment in time, then that is good enough for me, as I really trust the pair of their judgements. I think they know a player when they see him. Always knew McKay was a player,,I know hind sight is priceless, but can you imagine the team we would have had if Warbuton and Weir came to ibrox 3 years ago?! !,, Warbs theory on if your good enough, you will play, regardless what age, is spot on,,,,this is what all the other teams in the world have been doing for decades,,, welcome to the modern day football my fellow blue bears,,, that manky mob might as well enjoy their last easy ride in the premiership,, cause next season, they'll be back where they belong,,second to the gers,,!!! It does make u wonder what happened under McCoist/McDowell it seemed they just didnt want to give the kids a chance. But TBH thye should both hanf there heads in shame, They took the easy way by signing there mates like Boyd Black etc & quite frankly they showed themselves up to be numptys. The impostor wouldn't have recognised a player if he tripped over one. Now that Green is about to be exposed for what he and his cronies took out of the club, and are still taking via the onerous contracts, why did Green give McCoist the penny shares? What exactly did he do to earn his freebies? Given he's still drawing down £70 thousand a month till December I'm surprised that he's not gifted his shares to one of the fan groups to try and win back favour. Yep. Ally should use his salary to buy shares and give to fans. Only decent thing to do. always rated barrie McKay but I think his crossing ability needs a bit of work. Hi Marko, In the 60's we had Jimmy Miller, John Greig & Sandy Jardine to name just a few who were from Edinburgh and they were not brought up as Rangers supporters, but when Rangers capture your HEART - they keep it forever. Graeme Souness, Richard Gough and HUNDREDS of EX PLAYERS all became the same and they LOVE RANGERS TO THIS DAY. sorry McKay has been good from the start but was not in mccoist good books from the start ,maybe the boy had a attitude problem who knows , but the boy has so much talent he deserves the chance . Like it seem several of the above poster I too was told by 'someone in the know' that Barrie had a bad attitude. My reply to that then was that he was 17 and maybe it was bad man management that was the problem. Remember when Souness arrived he went on about needing good professionals to set an example and one of the people who he was clear did not fit that bill was the young Ally McCoist. I may well become the case that a so called bad attitude during the last 3 years will become a badge of honour!